The Rohn RSM1 is a sector mount for RSL towers. Mount can accomodate up to twelve 5’ mounting pipes. 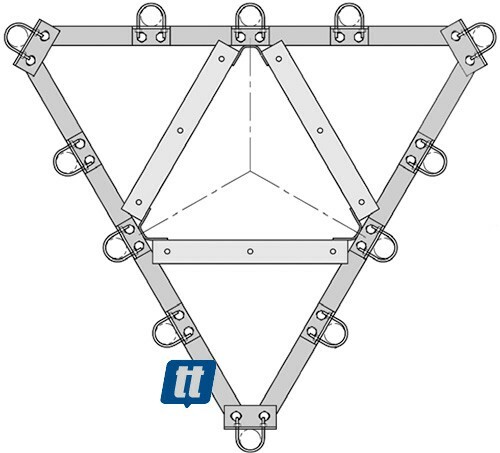 Three brackets and U-bolts at corners are provided with this kit. Additional mounting kits (RSMBK) and pipes can be ordered separately. PLEASE NOTE: This item is drop shipped directly from the factory to save you money. Typical delivery time runs approximately 3 weeks.